As if we needed another excuse to plan a vacation, this list of new and renovated hotel openings in the United States just might do the trick. Travelers of all types will find the perfect hotel to explore, from sunny Scottsdale to artsy New Orleans. New and renovated hotels in the U.S.
As if we needed another excuse to plan a vacation, this list of new and renovated hotel openings in the United States just might do the trick. Travelers of all types will find the perfect hotel to explore, from sunny Scottsdale, Arizona, to artsy New Orleans. After an unexciting stint as Hotel Theodore, a hotel in downtown Scottsdale is seeing new life as The Saguaro. 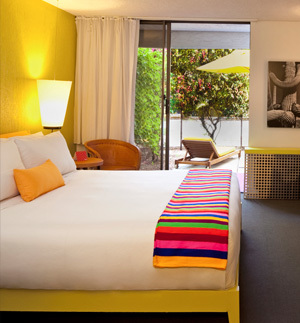 A hip, almost boutique-style hotel from Joie de Vivre, The Saguaro is impossible to miss with its bright pops of color. Dining is a draw, with three spots from James Beard award-winner, Chef Jose Garces. At Distrito, you’ll fall in love with the funky decor as well as the modern Mexican fare and sophisticated cocktails. Rooms are stocked with LATHER bath products and done in a simple but cheerful design, and the quaint on-site spa specializes in Sonoran Desert-inspired treatments, like the Desert Essence Poultice. It’s officially set to open in mid-May but the SLS South Beach is already taking reservations (for visits beginning June 14). 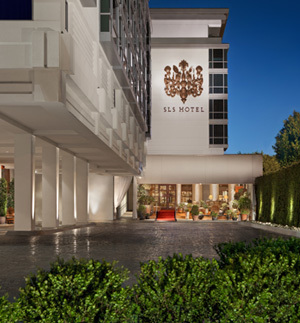 Like its sister property in Beverly Hills, SLS South Beach has a whimsical aesthetic courtesy of French designer Philippe Starck. Meanwhile, chefs Jose Andres and Katsuya Uechi are taking the reins at the on-site restaurants, The Bazaar and Katsuya. Rocker Lenny Kravitz even put his mark on the Miami hotel, designing a poolside bungalow and penthouse suite. You’ll also find Hyde nightclub for entertainment; before you go, check out The Salon, where pros will make you head-to-toe red-carpet ready. Built as a school in 1889, Washington School House is now the mountainside town’s newest luxury boutique hotel. The 12 spectacular rooms and suites are nestled in a building made from original quarried limestone. It’s a historic living space graced with 16-foot ceilings, a roaring fireplace (which is actually an old Olympic torch) and a chic ski lounge where you can stock up on snacks for a day on the slopes. There’s also a heated pool terrace, ski valet, in-room massage and more. Washington School House is a luxurious respite after a day of outdoor activity. Brought to you by Klaus Ortlieb, the European hotelier behind New York City’s Gotham Hotel, The Hotel Modern in New Orleans’ warehouse arts district features 135 rooms. With a home-away-from-home sensibility, notably absent is the standard check-in desk. Instead, the experience is like staying at a friend’s house – you’re greeted with free drinks in the lobby and escorted to your room. 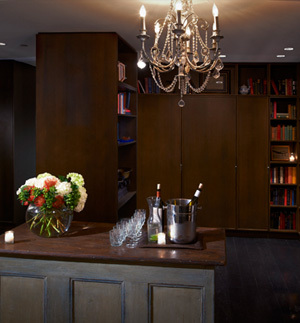 Speaking of the rooms, they’re spacious with a distinct style including decorative antiques and thoughtful touches, like a curated book collection. Tamarind by Dominique serves French-Vietnamese cuisine and the lounge, Bellocq, offers burlesque shows. 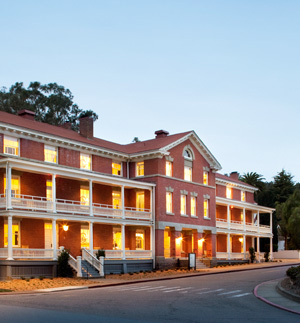 The first hotel in San Francisco’s historic Presidio national park, The Inn at Presidio’s suites have sweeping views of the Golden Gate Bridge and are minutes from downtown. Seven of the 22 rooms are classic one-bedroom suites with queen bed, separate sitting area, gas fireplace and sofa. Reservations include a daily complimentary breakfast buffet and nightly wine and cheese reception. Another benefit of the hotel’s prime location is that it’s only minutes from hiking trails, golf courses, ocean and bay beaches, and more. Oh, and pets are welcome!